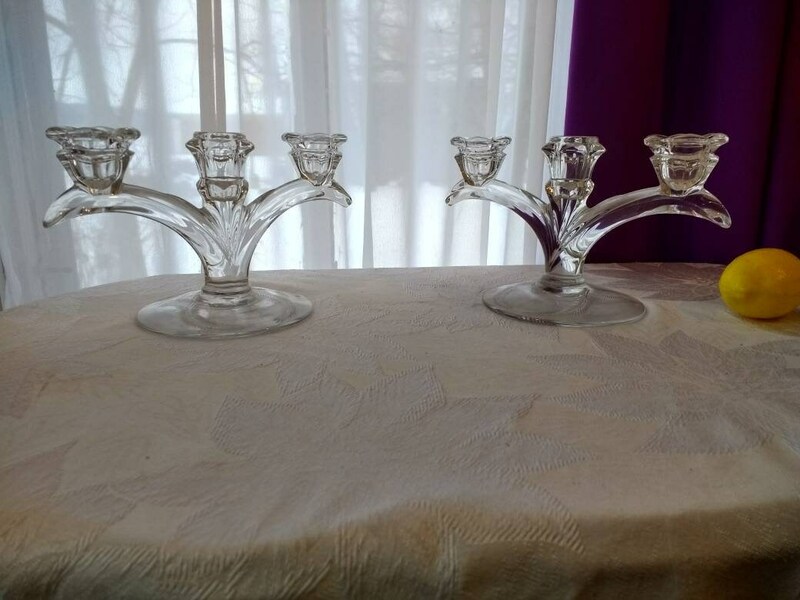 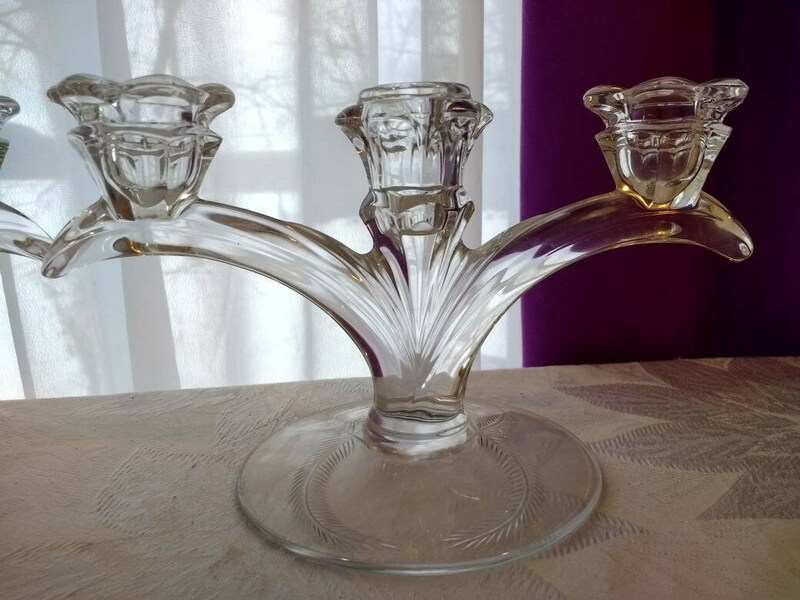 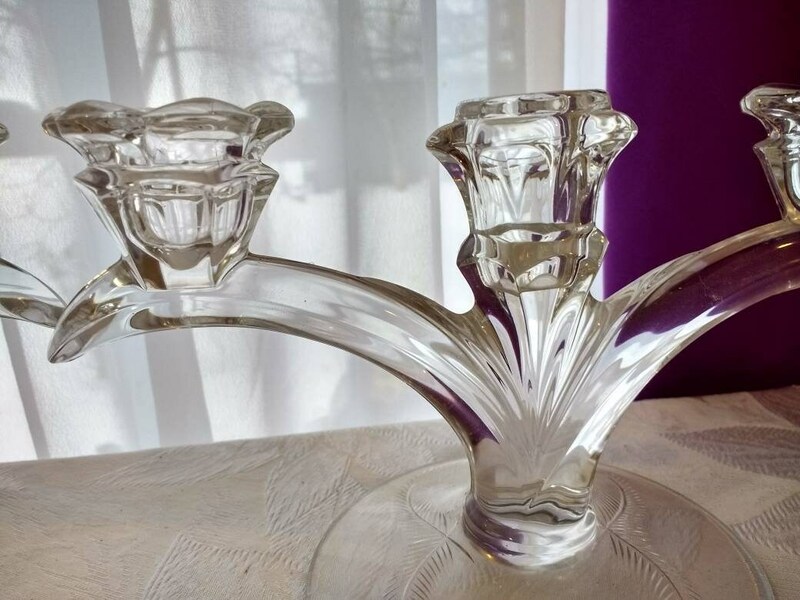 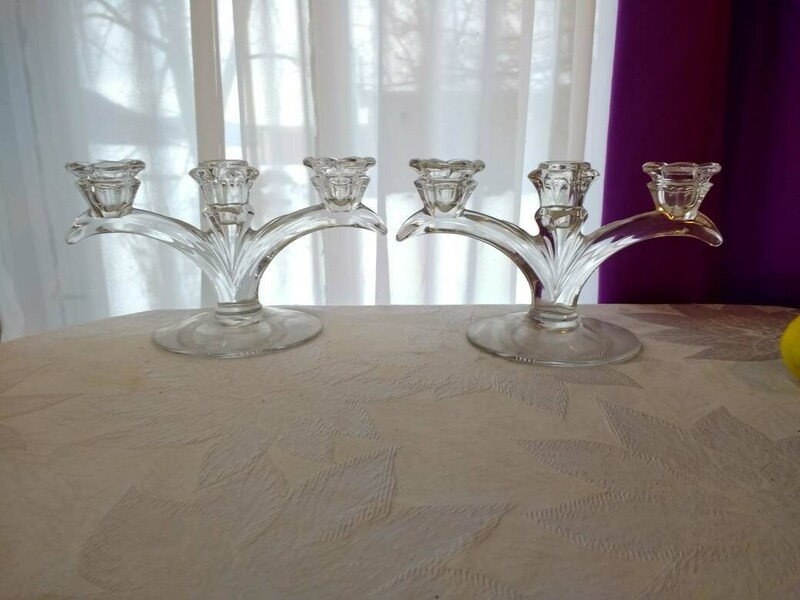 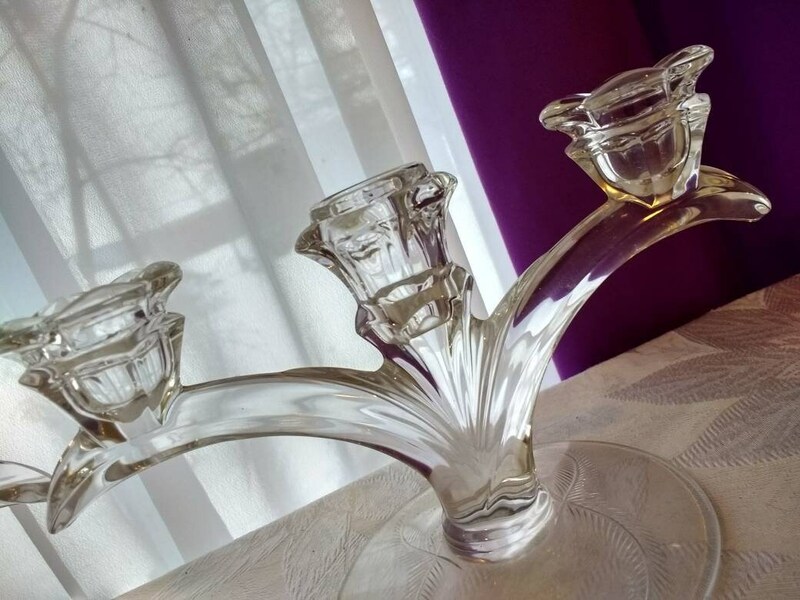 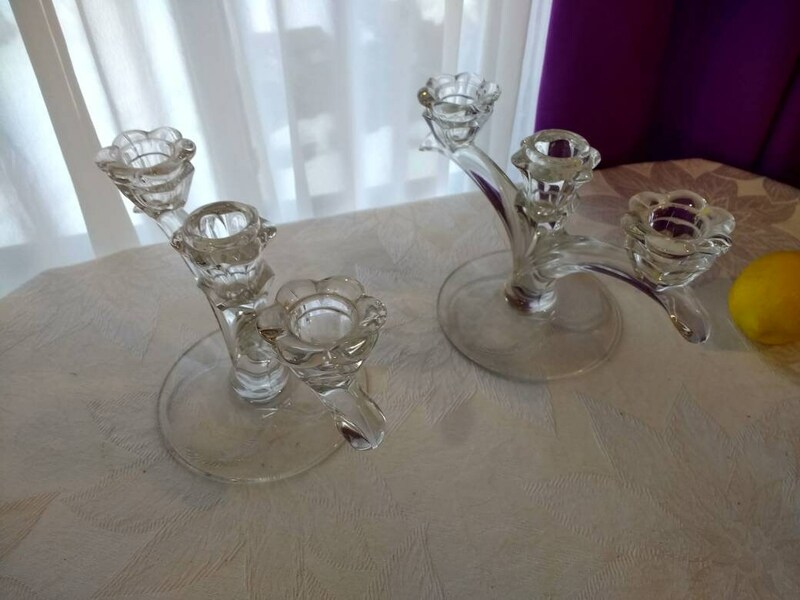 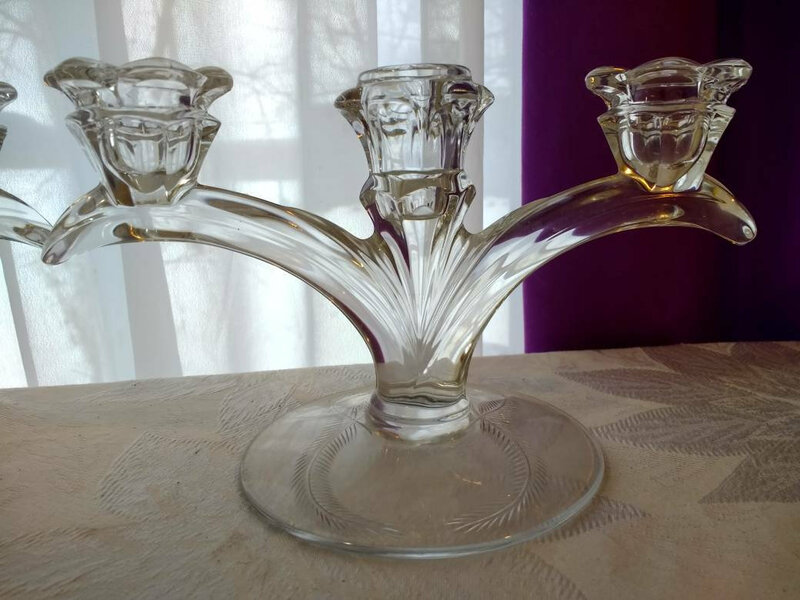 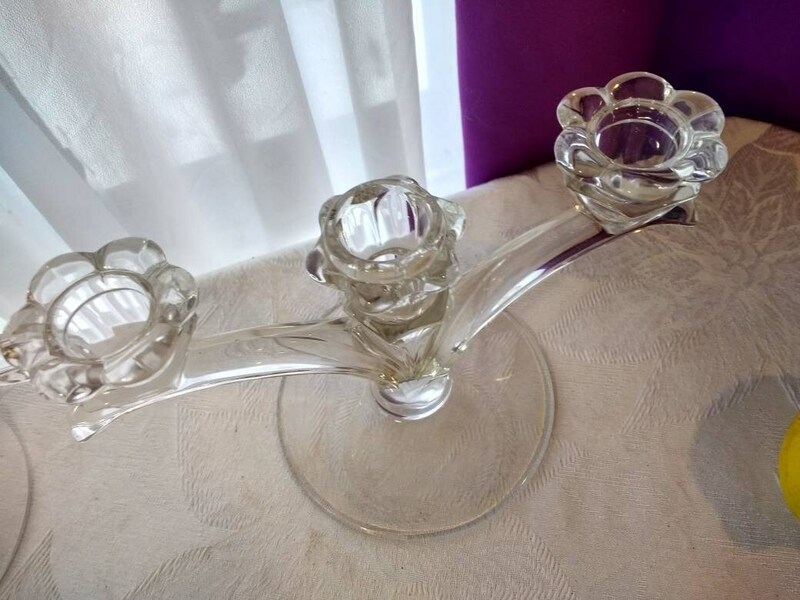 Pair of Matching Clear Glass Candelabras Fern Pattern On Base Beautiful Light Swirl To Point Branch Pattern On Branches! 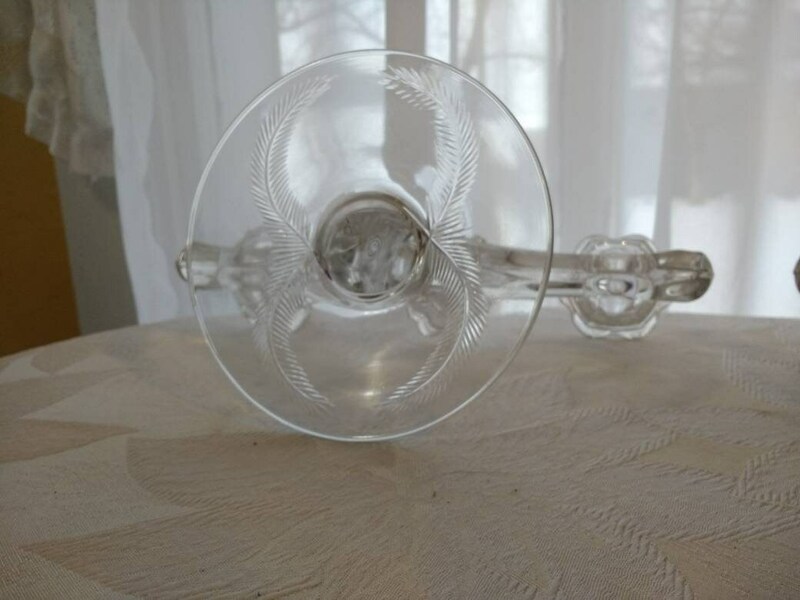 9 inches across and 5 1/4 inches high. 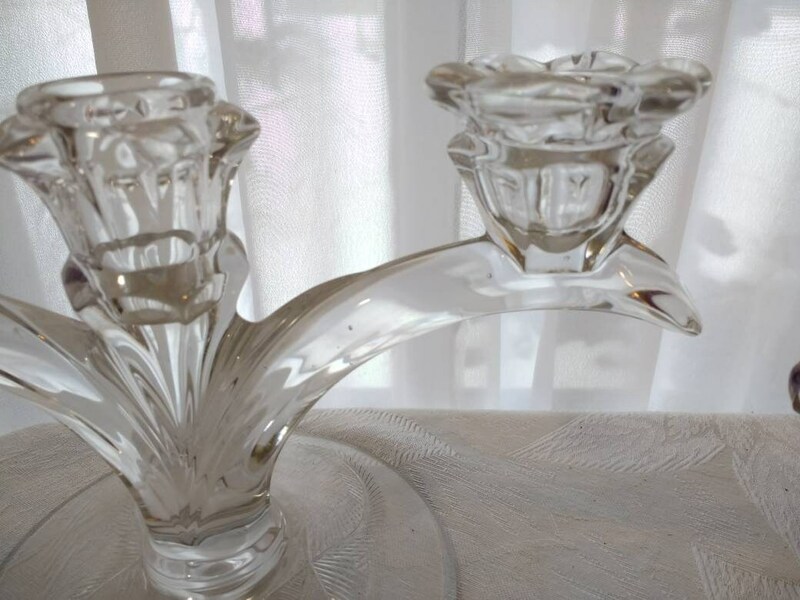 Clear with no chips cracks or flea bites.